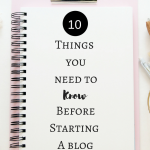 March 13, 2017 By Morgan M Woods Leave a Comment This post may contain affiliate links. 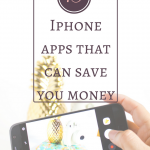 Looking for ways to save money today? Saving money is one of my favourite subjects, I love being frugal and thrifty. Alongside making extra money from home it has really helped us with paying off our debt and starting our home fund. 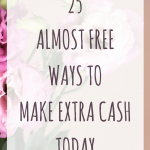 I’ve listed 52 ways you can save money today! Take a packed lunch instead of buying lunch you could save around £25 a week. Meal plan and Cook from scratch (try some frugal recipes) not only will you know exactly what you’re eating it often works out cheaper too. Shop for yellow stickers, with up to 75% off retail price you can make some huge savings. Hunt for grocery coupons, coupons can be found really easily online using google. Also checkout grocery freebies and deals on Shopmium. Eat fewer takeaways. A takeaway can easily cost £20-£30 for a family, try making your own fake away instead. Grow your own veg/herbs. Most herbs can be grown just about anywhere even on your windowsill. Pick easy to grow veg such as courgettes. Batch cook meals to save on energy. When your oven is on, fill it up to make the most of the energy being used. Use up any leftovers. Reduce your food waste by eating up leftovers. Try this Delicious banana cake recipe. Drop down a brand level, if you usually buy store brand try the value range. If you can’t tell the difference stick with it. Tesco clubcard, earn points when you shop in store and on petrol. You can also earn points from E.on and having other Tesco products such as insurance. Nectar card, your nectar card can be used on a wide range on stores including Sainsbury’s, eBay, Argos and Dunelm. More card, Morrisons more card will earn you points on your grocery shop in store and petrol purchases from Morrisons petrol stations. MyWaitrose, no points to collect but lots of exclusive offers including Free tea or coffee, free food magazine and free garden magazine. Boots advantage card, collect points in store, lots of exclusive personalised offers and a free beauty magazine. my John Lewis card, exclusive offers including free hot drink and cake, prize draws and exclusive shopping events. Costa coffee club, earn points, exclusive offers and special invitations. Holland and Barrett rewards for life. Earn points to receive reward coupons to spend online or in store. Change your energy supplier or tariff, use a comparison site to compare products. Ovo offered me a fantastic deal and offer new customers a £25 gift card. To find out if Ovo can offer you better deal and get yourself a £25 gift card click here. Haggle with your broadband provider. Again you can compare broadband services and providers on comparison sites. Haggle with any T.V subscriptions or if you don’t use it get rid! Work out if a water meter would save you money. If you have more bedrooms than people in your house a water meter could save you money, on the other hand if you have a large family a water meter may be more costly. Turn your heating down 1 degree, just 1 degree through is barely noticeable but you could save 10% on heating bills. Turn your heating off when you don’t need it (when you’re in bed, at work etc). Limit shower times if you have an electric shower you can save so much money by limiting yourself to just 5 minutes or less. Line dry your clothes instead of using a tumble drier, or use a clothes horse. Mend things instead of buying new. This one is simple, if it can be fixed… fix it! Check if you need a T.V licence. If you watch live T.V (or a live online tv service), or you watch any BBC programs on demand or through BBC iplayer you need a T.V licence. If you only ever watch alternative on demand channels you may be able to ditch the T.V licence. Please check yourself before you cancel anything! Compare your car insurance instead of auto renewing. Use a comparison site such as confused.com to see what you can save. Compare your life insurance to find out if you can get a better deal. Check for any benefits you might be entitled to. 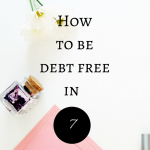 Pay off any debts before you start saving. 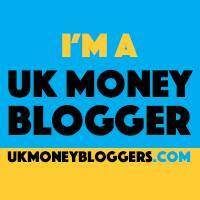 Theres no point saving money in a savings account if your debt is costing you ££ each day. Cancel any direct debits you no longer need. You may be surprised at what your still paying for. Car share with colleagues or other mums for the school run. Choose free days out, check out free museums or just enjoy the outdoors. Some of our favourite days have been a trip to the park or beach with a picnic! Use club card/nectar card vouchers. You can boost your vouchers to up to 4x their original value! Plan well in advance. 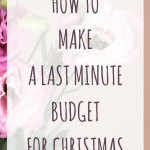 Getting organised is one of my best thrifty tips, the more you plan the less likely you are to spend more money on something you’ve forgotten about. Try camping. This might not be everyone’s cup of tea but if you’re willing to give it a go you could save lots compared to a hotel or lodge. There are some great glamping sites popping up over the uk as well. Get rid of any unused memberships such as the gym etc. Forgot to cancel that free trial and never used it again? Get rid! You can always start your membership again when you’re ready. Don’t be afraid to say no. If you really can’t afford that meal out with friends, say no. Maybe suggest a night round yours with a home cooked meal instead. Stop smoking. Okay so this one may not be easy but if your really in a bad financial situation this is one way to save hundreds if not thousands every year! Even if you don’t feel like you can quit right now try cutting back. Borrow from friends and family where possible. If you need an expensive item but know you’ll only need it for few hours try asking friends or family if they have one you can borrow. Use your library. If you’re a keen reader utilise your library. Free books to borrow, free internet access, free audio books and DVDs to borrow! Ask ‘Do I really need this?’. ‘Do I really need this power drill or could I borrow one from a friend?’. ‘Do I really need another … or can I live without?’. Mystery shopping, sign up for mystery shopping and you could be refunded your expenses and paid a little extra on top. Have no spend days. Just don’t spend anything, set a goal to have x number of no spend days each month and just don’t spend any money on those days. Download apps such as Shopmium, checkout smart and Clicksnap to start saving money today. 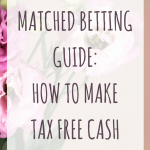 Use a cash back site such as Topcashback or Quidco to earn cash back on your shopping. 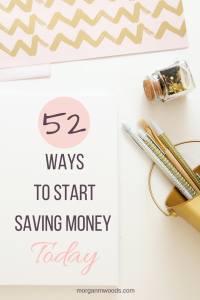 Could you add to this list of money saving ideas?